I have been really bad about updating my blog — sorry!! We have been in the midst of a few different projects (master closet/bathroom/bedroom and the garage), and so I have been procrastinating on figuring out what I should post about first! 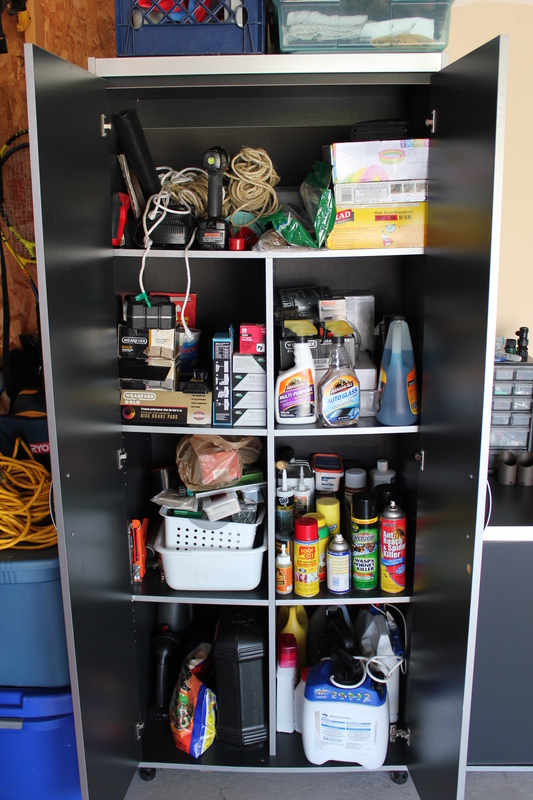 Fall is approaching and it is the perfect time to do some cleaning out and re-organizing in the garage, so let’s start with that! 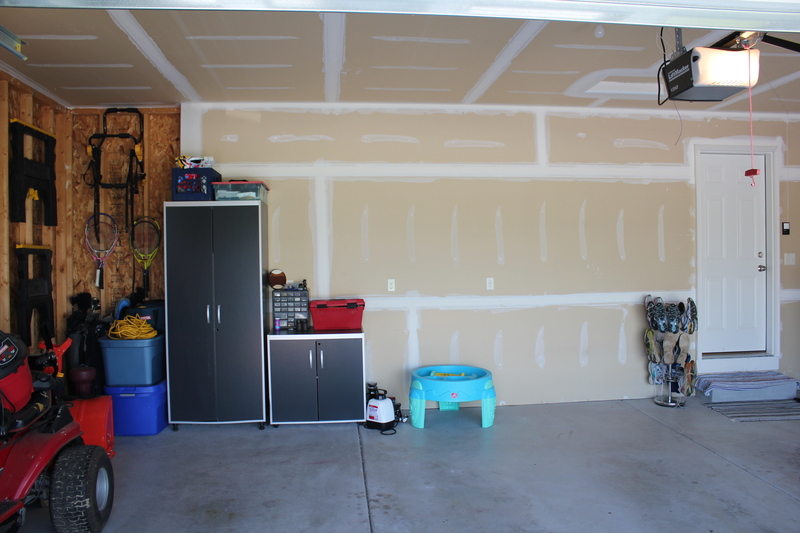 Being the organization fiend that I am, I was not happy with how we had things organized and stored in the garage. 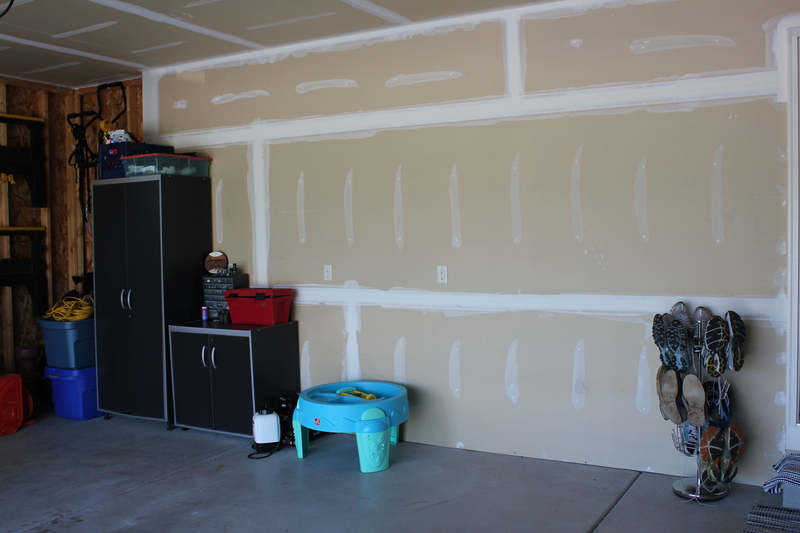 This project was also a struggle for me because the garage is somewhat of a foreign place to me — I don’t use a lot of the tools and other items stored in the garage, so I didn’t really even know what we all had or where to start. Storage: Cabinets. We wanted cabinets that would be mounted on the wall (and slightly off the floor so we could clean underneath). 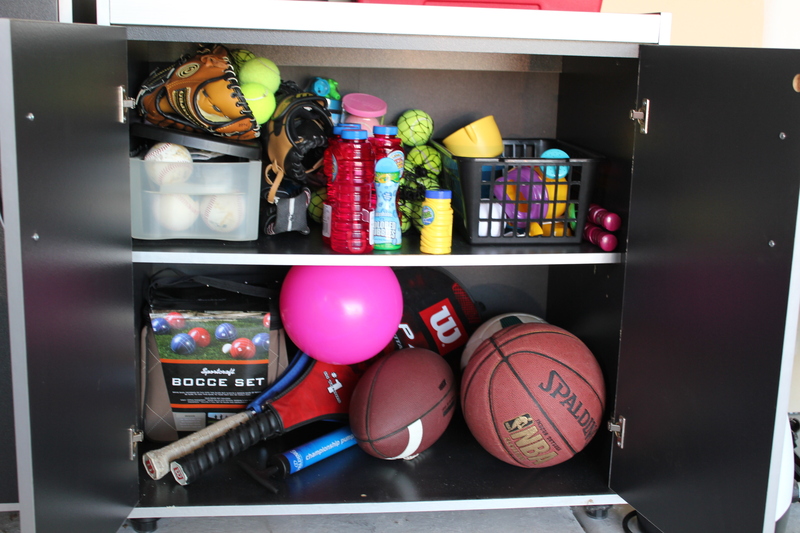 Ideally, these would hold most items in our garage (besides toys and big tools). Appearance: We use the garage entrance of our house all the time. When we have family and friends over, they often enter through our garage as well. I wanted our garage to look clean and be as welcoming as our front entrance. Seating: We wanted a bench to be able to sit on to put shoes on. We don’t have a lot of room in our entry-way so we wanted the bench outside inside. Shoe Storage: I wanted to only keep nicer shoes inside (stay tuned for our master closet post to see how I chose to store those!). Shoes are dirty and I have read countless articles on how many germs are on the bottoms of shoes, so I wanted to keep as many shoes as possible, in the garage. Our shoe tree wasn’t holding everything we wanted it to, so we had to come up with a new idea! This has been an ongoing summer project of ours, and I am excited to show you the finished results! Happy Wednesday! Hi! I’m Abby and I love organization, crafting and decorating. I'm a wife and a mama and my heart beats for Jesus. I am forever thankful for the gift of life, and I do my best to squeeze as much fun out of it as possible. I hope you enjoy your time here! Follow along with me and receive notifications of new posts by email!